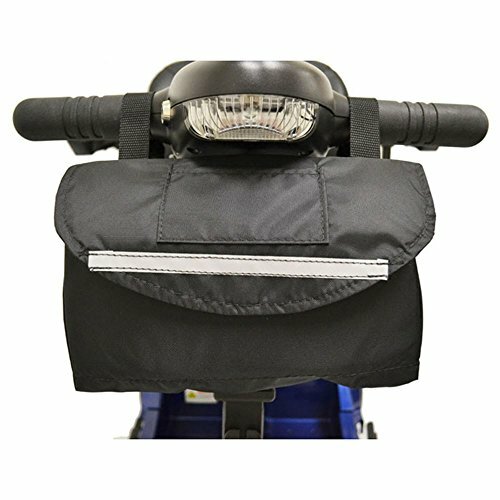 Standard mobility scooter tiller bag mounts to tiller handles for easy, convenient storage. Can mount in front or behind the tiller. Has a hook and loop leash to prevent unwanted swinging. Approx. Dimensions 10"x 6"x 3" Attaches to scooter tiller handles for convenient and easily accessible storage. Contains a large front pocket. Has a hook and loop leash to prevent unwanted swinging. Better than a basket because items are safely out of sight! Size 10 X 6 X 3 in.